On Friday, delamanid, a new anti-TB drug developed by the Japanese Otsuka company was approved for use in Europe. 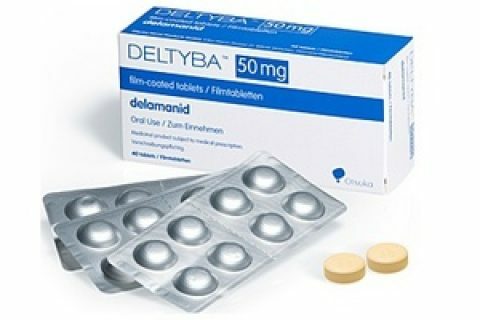 The Committee for Medicinal Products for Human Use (CHMP) of the European Medicines Agency (EMA) recommended marketing authorization for delamanid in the fight against tuberculosis (TB). It is the first anti-TB medicine approved for use in the European Union in 40 years. Worldwide, it is the second new medicine against TB within a year, following approval of bedaquiline by the USA Food and Drug Administration (FDA) in December last year. Both drugs are specifically designed to treat drug-resistant forms of TB, which cause an estimated 170,000 deaths annually (according to the WHO). KNCV Tuberculosis Foundation (KNCV) welcomes the decision of the European drug regulators as these two new drugs present a breakthrough in TB control, which will save many lives. KNCV is assisting countries to strengthen TB programs in Europe, Central Asia, the Far East and Africa to stem the tide of TB and drug-resistant TB. Anticipating these developments, and making full use of its unique combined program implementation and research capacities, KNCV is already working with countries, donors, the World Health Organization (WHO) and others to prepare for the responsible introduction and roll-out of the new drugs. Failure to ensure the proper use of these drugs will create additional drug resistance and an unmanageable TB epidemic. In the same session, the CHMP also approved a new HIV drug, dolutegravir. KNCV welcomes this new HIV drug, as HIV-infected people are disproportionately affected by TB. In 2012 alone, 1.1 million people with HIV developed TB. While in The Netherlands tuberculosis has mostly become a disease of travelers and the foreign born, worldwide every year 8.6 million people develop TB and 1.3 million die of TB. This makes TB humanely and economically one of the most dangerous infectious diseases in the world. KNCV is committed to ensure that the new drugs reach the people who need them most.